Apart from the functionary roles that define motherhood, autism mums don many more hats. If primarily they have to be their child’s best friend, guiding them through their complex world, they also have to be the teacher who redefines conventional rote methods, the lawyer who makes others understand their child’s emotions and defends him, and the caregiver who is always at hand to offer a reliable helping hand. Though autism is a commonplace word today, it is also one of the most misunderstood. Put simply, it refers to a slew of conditions that fall under the Autism Spectrum Disorder (ASD), characterised by issues related to communication, speech, social skills and behaviour. 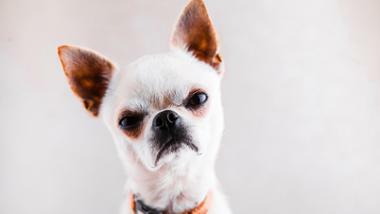 But individuals with the condition have various unique strengths and abilities that can be honed to make them lead a meaningful life. And who better to help them in this process than their supermums? Friday meets three mothers who have risen above the odds to help their special children through their journey and channel their creativity to raise awareness on the condition. 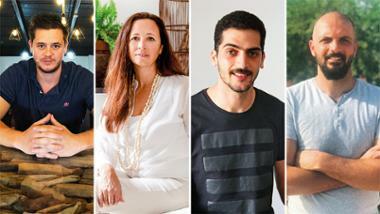 While Dr Michele Ziolkowski put her writing skills to use with a storybook series, Khawla Barley founded Goals UAE, a sport coaching programme based on the buddy system, and Dedra Stevenson made a short film that went on to win international accolades. What motivates these women is the hope that one day their children will reach their full potential and be recognised for the stars they truly are. Khawla’s son, Abdulla, was diagnosed with childhood autism when he was around three years old. The family was in the US at the time and Abdulla’s therapists at the Johns Hopkins hospital noted a change in his social interaction, and abnormal language development. ‘Abdulla had suffered severe hypoxia (lack of oxygen) and seizures just after his birth so it was difficult to determine if the problems were late development or autism,’ says Khawla. But for a mother whose son was given a 4 per cent chance of living at birth and told that he would most likely not walk or talk, this was not the end of the road. ‘The fact he was able to communicate (even if in an abnormal manner) and had a personality was such a gift to me and I was ready to take on any challenge,’ she says. Upon returning to Abu Dhabi in 2009, Khawla signed up for online applied behaviour analysis programmes. With the help of a friend who was a speech language pathologist, she turned a section of her house into a classroom. So while his two sisters attended regular school, Khawla scheduled activities to help him master tasks like brushing his teeth and communicating his needs through a laminated choice board. At three and a half, Abdulla started attending the New England Center for Children Abu Dhabi, a school for children with autism based on the IEP (Individualised Education Program), and began mainstream school in grade three. ‘Now he is 11. He does very well in pattern-based subjects like spelling and math. He particularly loves to write, enjoys playing tennis and recently has discovered golf,’ says Khawla. A case in point being the movie script he is working on. It has a horror theme and is 10 pages long with complex and well written dialogue. ‘However, Abdulla is very rigid in his thinking and has a hard time accepting and incorporating feedback, which makes channelling his skills challenging for his teachers and me,’ adds Khawla. 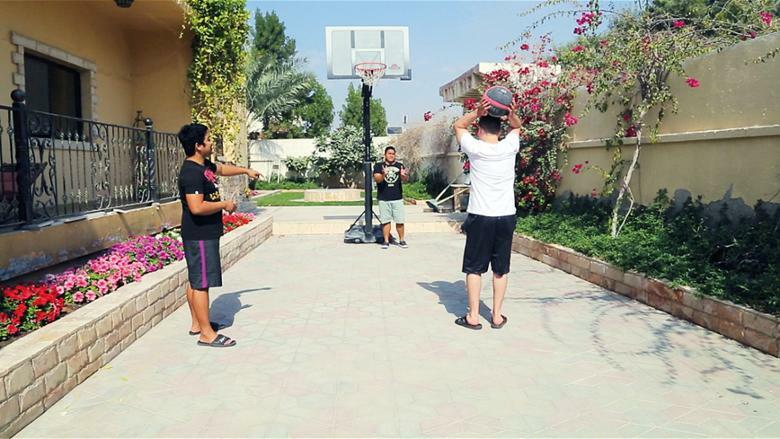 Goals UAE was launched as a pilot programme in November 2014 after Khawla could not find a suitable physical activity for Abdulla to enjoy. ‘I was concerned with my son’s long-term opportunities and not simply the need to keep him busy. I knew there were parent-led activities of all kinds in other countries so I wanted to see if the idea could be adapted to the UAE. Michelle [a co-founder of Goals] and I decided to try a one-off football programme to test the waters. We enlisted a few autism professionals as well as family members to ‘buddy’ with each of the participating children with autism,’ she recalls. Goals opened to the wider community in January 2015. Since then, it provides real opportunities and access to proper instruction for all ability levels and ages. Over the years, the programme has made a significant contribution by bridging the gap between the community and children with autism by providing the support to accommodate the kids in team as well as individual sports. As Khawla asserts, it is easier to integrate a young child into a recreational programme then an adult into a vocational programme. ‘Our triathlon programme called TriGoals is creating a lot of awareness through the inclusion of our team into community races. The boys run alongside typically developing athletes. We are getting a lot of positive encouragement. ‘I am extremely proud to be working closely with the newly reorganised Special Olympics UAE in a number of sports. I’m also excited to see what opportunities the current level of awareness associated with the event will bring to the UAE. I think we have an amazing opportunity to create lasting change,’ says Khawla. 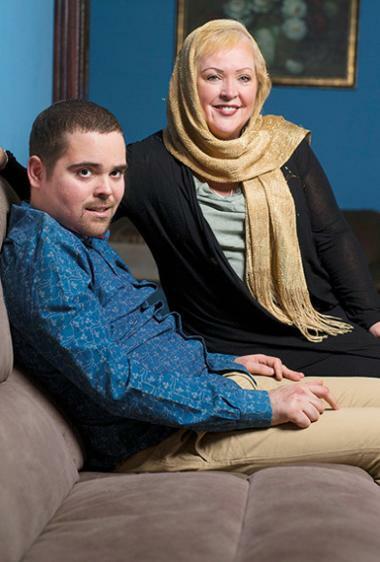 As a baby, Michele’s son Suhail had reached all his developmental milestones before time. By the age of one, he could make eye contact, point, talk, mimic nursery rhyme actions and songs... He was also a very friendly child, always smiling and happy. However, by the time he turned two, Suhail had lost all of these skills, becoming quiet and withdrawn. ‘As a parent, it was heartbreaking to watch him regress; it was the toughest emotional challenge for me,’ says Michele. Suspecting he was in the autism spectrum, she had him officially diagnosed when he was five. ‘There were so many unknowns to try and factor in that it was all quite overwhelming. It was like drowning in a flood of emotions. But it was vital for me to pull myself together and try to formulate a plan that would help Suhail,’ she says. The next challenge was trying to locate the best therapy options. Since the family was based in Fujairah, they had to drive down to Sharjah or Dubai for speech and occupational therapy, up to four times a week. In 2014, they moved to Abu Dhabi, mainly to enrol Suhail in the New England Center for Children based on the IEP (Individualised Education Program). Now 11, Suhail is happy in a school environment where he is accepted, understood and loved. ‘His teachers and the support staff are amazing individuals. He is racing through his current IEP and continually reminding us of how much he does understand,’ says Michele. Other challenges they faced initially were people staring, pointing and commenting in public. But with an increase in autism awareness campaigns and government initiatives, Michele says this doesn’t occur as much now. Having studied archaeology and art, Michelle decided to put her talent into making the world a better place for children like Suhail. She narrowed in on a children’s book, and what better muse than Suhail? So the fictional Suhail also has autism and discovers the world through his own eyes. Set in the mountains of Fujairah, where Suhail’s paternal grandmother lived, the book is called The boy who knew the Mountains. ‘The book was not only a creative endeavour but also a way that I could try and reach a wider audience with a fundamental message of acceptance. It provides the perfect vehicle to reach a young audience, and to create a positive shift in attitude within our community. The book highlights autism and focuses more on the abilities of an individual than the challenges. Our children with autism will grow up to be adults with autism, we need an understanding and accepting society to pave the way for their futures,’ says Michele. Published in 2016, the book won the Best Children’s Book award (English) at the Sharjah Children’s Reading Festival earlier this year. A 10-minute animated film based on the book is also on the cards. It will be in Arabic with English subtitles and will be produced by Yazan Al Ghazzawi, head of film at the School of Audio Engineering (SAE) Institute Dubai. 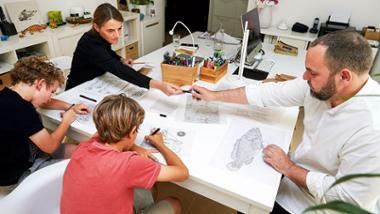 Currently, Michele is finetuning her second book based in Abu Dhabi, called Suhail’s Abu Dhabi adventure. Set in pre-oil era, this time Suhail will be exploring old areas like Maqta, Umm An Nar and Qasr Al Hosn. ‘I have been lucky to have an incredibly supportive publisher, Ali Al Shaali of Hudhud Publishing in Dubai,’ says Michele. But raising awareness is an ongoing process and Michele is constantly at work through her social media accounts for The Boy who knew the Mountains. She also conducts book readings at book fairs, schools, community events and through initiatives such as WannaRead and the Emirates Airline Festival of Literature. As for Suhail, he is thriving at the moment. His verbal communication improves daily and creates less anxiety for him because he is able to get his message across. 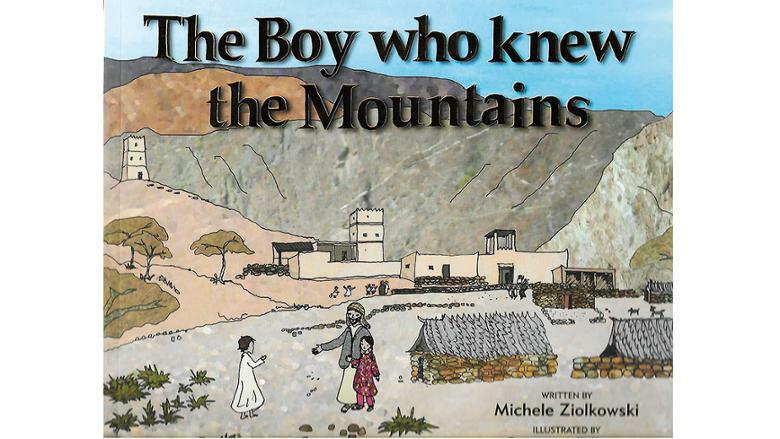 Suhail knows that The Boy who knew the Mountains is his story; he enjoys looking through books and reading together. He is eagerly waiting for the second book to come out, says Michele. Now 25, Ibrahim was diagnosed with Pervasive Developmental Disability when he was 18 months, and autism at five years. When his mother Dedra first heard of his condition it shook her very core. ‘I looked up the symptoms in my [psychiatrist] husband’s professional reference books and Ibrahim checked almost all boxes. I could barely look at him without crying,’ she recalls. The first hurdle was to convince the extended family, who refused to believe that there was anything wrong with the child. 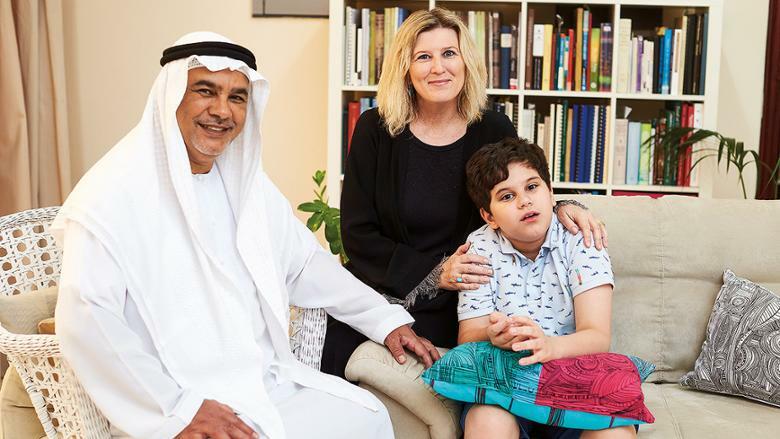 Then came the dilemma of finding health care professionals in the UAE who knew anything about autism as awareness was almost non-existent back then. 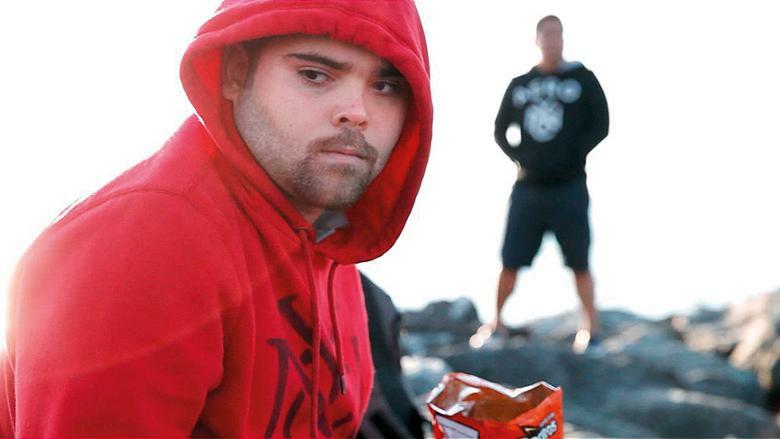 ‘His behaviour in public seemed extra “odd” and people would stare,’ says Dedra. When he was nine, Ibrahim started having rage attacks – spontaneous seizures where he would become uncontrollably violent. ‘He would attack me, his father, siblings and anyone else who came too close. Once when we were in the US, his CT scan appointment came on a day that happened to bring with it a hurricane. I drove Ibrahim through a hurricane to get to the appointment. He had the CT scan, and that test, along with all the others came back “normal”. We started to hate the word normal because it didn’t explain Ibrahim’s symptoms. By that time, we were also exhausted from severe sleep deprivation, and still feeling so depressed due to a lack of answers,’ says Dedra. A few months later, they saw a neurological psychiatrist who helped cure his seizures. 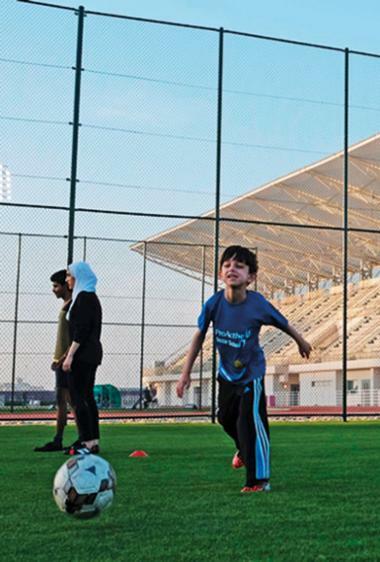 Ibrahim was enrolled in the Al Noor Centre for Special Needs when he was 11. He didn’t enjoy it because he was treated differently from the other kids. He was much larger, and when other kids felt afraid of him, he would get angry and attack. ‘Ibrahim never felt happy about going to school and even as a non-verbal autistic kid, he protested getting on the bus almost every day,’ says Dedra. In 2016, Lemonade the documentary was made based on Ibrahim’s experiences with his caregivers, with the desire to raise awareness about the lack of services for adults with autism in the UAE. It was made with Dedra’s friends and acquaintances acting as videographers and directors, and won an award for best Executive Producer in Ireland. The director, Sarah Al Hashimi, won an award for Up and Coming Director in Dubai at the WOW Film Festival. It was also an official selection for film festivals in Miami, France and Ireland. It has been screened all over the UAE, in VOX Cinemas and Novo Cinemas, as well as for the Dubai Government, where it served as an example of services that should be offered for families with adults that are not in employment.